The following is Part 1 of the introduction to my book on Adam and the Woman. When I originally wrote this book, I was dealing with breast cancer and chemo, as well as a divorce. I realized that the book reflected my disjointedness at the time, so the Lord impressed upon me to rewrite it. I want to share the introduction with you and ask that you help me get its message out when the book is in print. I would deeply appreciate this. God’s ways do not change. “I am the Lord. I change not!” Malachi 3:6 Jesus is the “same yesterday (past) today (present), and forever (future-eternity).” Hebrews 13:8 The method the Godhead used in creating in Genesis will be the method used throughout scripture. The Trinity of God is a unit. They operate in harmony and agreement—never contradicting one another. The will of God is carried out by the Word of God (Jesus) and brought to fruition by the Holy Spirit. The full Godhead was involved in the original creation of the heavens, earth and humanity in the beginning in Genesis. The full Godhead is recreating humanity by the Divine will of the Father, the Living Word Jesus and the power of the Holy Spirit in the New Covenant. Jesus makes all things “new.” In Revelation 21:5, the Father, Jesus and the Holy Spirit will complete the task of making all things new. The Godhead will restore all to purity, harmony and peace as it was in the beginning and will be for all eternity. God used the written Word of God to show the “end from the beginning.” Jesus said, “I am the First and the Last; the Beginning and the End.” Jesus who is the Divine Word who was with God at creation will remain the Divine Word of God forever. The fact that He came to earth in the fashion of man isn’t what He was in the beginning—the Word of God. The Divine Word of God took on flesh in the womb of a virgin woman in order to come to earth to redeem all of mankind. The Word of God must also take on our flesh and abide in us so Jesus can be birthed in and through us. Jesus is the Eternal Word of God – all Truth—from beginning to end. All Truth leads to Jesus. The whole Word of God is about redeeming mankind after the fall of Adam and the Woman. God through His written Word is progressively unveiling His plan of redemption through His precious Son—Jesus Christ. In the beginning God, the Word (Jesus) and the Holy Spirit are about to birth a new creation out of darkness, formlessness and emptiness. God is a God of order, not chaos. He created in His order. The Godhead will create something out of nothing. In order to make this new creation, the Will of God carried out by the Holy Spirit and Word of God will bring Light and order out of the darkness and disorder. The Holy Spirit and the Word of God (Jesus) will operate according to the Father's will and bring Light and then life. Our new life in Christ is accomplished in the same way. The Will of God is carried out by the Word of God (Jesus) and the power of the Holy Spirit giving us new, spiritual life. At creation in Genesis, we have the process, the progression and the crown of life -- holy Man. Man is the highest expression of creation because the Godhead lovingly shaped and formed Man into the image and likeness of God. Jesus is the highest expression of Torah and the Law because it came to life in fulfillment and fullness in Him. He became the Law and all that the prophets spoke of once-for-all. Jesus didn’t come to destroy the Law but to fulfill it. Because God gave the Law to Moses through His Word, it cannot be destroyed. The Word (Jesus) who is God, however, can fulfill it and become it so believers can walk in the Law of Christ – love. Jesus brought the external internal. His Law is a matter of the heart—the seat of love. First, the Spirit of God moved. Move is the Hebrew word piel meaning “to hover.” The Holy Spirit of God hovered over the darkness and chaos as if in a birthing position. Nothing could be created without the moving of the Holy Spirit. Next God “said.” Nothing could be created without God’s Word either. God spoke His will through His Word and His Holy Spirit brought the Word of God to life and fruition. God’s creative Word and the Holy Spirit created! It is His powerful, creative Word and the Holy Spirit that still creates “new creations” in Christ. Through the power of His Holy Spirit and Word, God will bring His power and life into a place of darkness and chaos as He does in our dark and chaotic fleshly nature. The Divine and Eternal Word of God, together with the Divine breath of the Holy Spirit do the Father’s will bringing order out of the darkness and chaos of our fleshly nature birthing His spiritual nature in us. The Word of God will call forth Light that penetrates the darkness and chaos of our souls and bring forth life—His spiritual, holy life. The completion of this process will be the “new man”-- Jesus, the Head, and His Body of believers who are in the glorious image of God once again. God named the parts of His creation to show that He had authority over heaven, earth, day, night, the land and sea. Because Jesus is God, He commanded the sea to be calm and it was calm. God will give Adam the authority to name the living creatures to show Adam that he has authority over them. If God is a God of authority, then Adam who is made in God's image and likeness will also be a ruler over His creation with authority. God gave Jesus all authority so those who love and follow Jesus have His authority to tread on serpents and scorpions. If Jesus has all authority, and we are “in” Him as one, then we have His same authority. God did not bless until the 5th day. Five is the number of grace. God blessed creation on the 5th day; blessed Man on the 6th day and the Sabbath rest on the 7th day. God is a God who blesses all living things. All was fully alive, holy and full of love, harmony and peace in God’s holy Garden. The wild beasts lay down with the tame in God’s most holy place. At the end of Revelation, the lion will lie down with the lamb also and all will be holy and at rest and peace in Paradise. The lion and the lamb lie down together in Jesus also. He is the Lamb of God who takes away the sin of the world (High Priest) and the Lion of the tribe of Judah who rules and reigns over all (King of kings). Jesus wants the lion and the lamb to also reside in His followers. Christ's followers are to be both priests with love and compassion and kings with power and authority. God is a God who fills. After speaking the seas and the earth into existence, God abundantly filled them with living creatures. The Word gave life to everything that was created, and His life brought light to everyone. The light shines in the darkness, and the darkness has not understood it. John 1:5 This Light is the same Light that lit the Garden of Eden and will illuminate the holy New Jerusalem…….The Lamb is its light. Rev. 21:23 Light can only come through Jesus because He is the Light of the world. Word, Light and then life is God‘s order. Jesus, the Word, Light and Life, gives us spiritual life more abundantly. God progressively created on each day until He reached the crown of His creation -- Man/Adam--on the 6th day. Because God created Man on the 6th day, the number 6 represents man/flesh throughout scripture. When Man was created in Genesis, God gifted him with a holy, spiritual nature by breathing His Divine Spirit into him. God originally intended that mankind live eternally in the holy Garden but He also knew that Man would sin against Him. God chose Jesus as your redeemer long before the world began. (1 Peter 1:20) God did this not because we deserved it, but because that was His plan from before the beginning of time—to show His grace through Jesus Christ. (2 Timothy 1:9) This will continue to be God’s plan into eternity. All humans are sinners and undeserving of our holy God’s love and grace. It doesn’t matter whether we are Jew or Gentile—we are all sinners in need of God’s grace and truth through His Son Jesus Christ. Jesus who was and is and will ever be holy is the only One deserving of honor, glory and praise. Throughout scripture, God showered His love and grace upon undeserving people whether Jew or Gentile. God spoke all of creation into existence, but not Man. God spoke His plan but then the Godhead lovingly shaped and formed Man out of clay into His very own image and likeness. God said in Genesis 1:26, “Let us make man in our image.” The Father, the Word and the Holy Spirit would work in harmony and agreement as they lovingly shaped and formed Man out of the dust of the earth mixed with the deep water that sprung up and watered the land. The fullness of God was the Potter; man was the clay. Water makes dirt pliable and moldable, as the water of the Holy Spirit and Word make us pliable so God can recreate us back to His image and likeness. 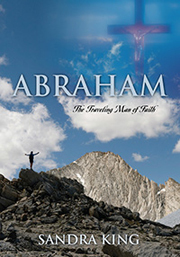 Adam had no life until God breathed His breath of life into him--both natural and spiritual life. The breath of God is the Holy Spirit of God. It was the Father’s Will, the Word and Spirit of God that made Man a complete, living being. It is that same Will, Word and Spirit of God that will make Man into a new, spiritual eternal being through Jesus. The story of creation is the story of relationship. God wants humanity to know and understand the depth of His love for those He created in His image and likeness. By understanding God’s love and desire for relationship with humanity, hopefully we will respond and love Him in a deep and abiding love relationship also. In the beginning, Man was holy. There was no barrier of sin to block intimacy with God. There was no temple needed in God’s holy Garden to commune with God. They walked and talked together freely. There was no priesthood and no sacrifice needed. God and Man communed heart to heart, openly and directly.